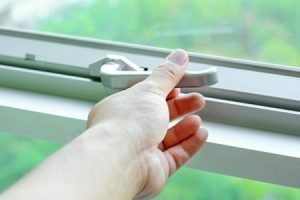 Want to make your home’s windows as secure as possible? One simple way to accomplish this is by making sure to lock your windows each and every time you close them. You might be surprised by how many people forget to take this basic security precaution. The good news is, there are other ways to secure your home’s windows, too. Check out a few of our favorite window security tips below! Install security cameras on the exterior of your home. Modern security cameras are more affordable and accessible than ever. These devices, which act as powerful deterrents to would-be thieves, are also very easy to install and monitor right from your computer or smartphone. Just position them in conspicuous places adjacent to doors and windows to keep criminals at bay. Illuminate entrances with motion-sensing lights. Security cameras offer a great way to deter thieves, but you might not need anything that high-tech to scare burglars away. Instead, you can use a few motion-activated floodlights to illuminate entrances and walkways around your home. These should be more than enough to spook anyone who might try to break into your home. Plant bushes with thorns or pointy branches outside ground-level windows. Sometimes the simplest solutions really are the best ones. To keep burglars away from ground-floor windows, consider planting security bushes like blackberries or roses with large, intimidating thorns. Not only can these bushes make your windows more secure, they can also serve as attractive new landscaping features! At Affordable Glass & Mirror, we also offer laminated window glass that is much stronger and more resistant to impact damage that traditional single-pane windows. To learn more, feel free to give us a call or contact us online today! ← What Causes the Characteristic Waviness in Antique Glass?